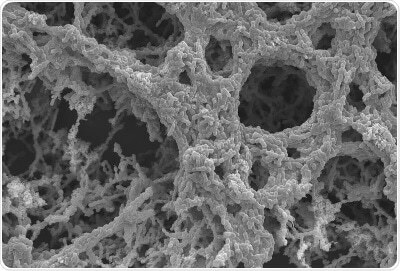 Researchers from the University of Leicester have for the first time discovered that bacteria that cause respiratory infections are directly affected by air pollution - increasing the potential for infection and changing the effectiveness of antibiotic treatment. The study looked into how air pollution affects the bacteria living in our bodies, specifically the respiratory tract - the nose, throat and lungs. This work increases our understanding of how air pollution affects human health. It shows that the bacteria which cause respiratory infections are affected by air pollution, possibly increasing the risk of infection and the effectiveness of antibiotic treatment of these illnesses. Our research could initiate an entirely new understanding of how air pollution affects human health. It will lead to enhancement of research to understand how air pollution leads to severe respiratory problems and perturbs the environmental cycles essential for life. Everybody worldwide is exposed to air pollution every time they breathe. It is something we cannot limit our exposure to as individuals, but we know that it can make us ill. So we need to understand what it is doing to us, how it is making us unhealthy, and how we might be able to stop these effects. Urbanisation in megacities with extreme levels of air pollution are major risk factors for human health in many parts of the world. Our research seeks to lead and participate in international research consortia of biologists, chemists, clinician, social scientists and urban planners. Together we will investigate how increasing urbanisation promotes infectious disease. The World Health Organization describes air pollution as the "largest single environmental health risk". The lead investigators have brought together their expertise in genetics, microbiology and air pollution chemistry to provide truly multidisciplinary ground breaking insights. "This research has significant potential to initiate a global research effort to understand a hitherto unknown effect of air pollution and provide significant additional impetus to the control of pollution.